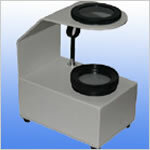 A polariscope consists of a light source and two crossed polarized lenses. The light source, which is powered by batteries within the polariscope or an external energy source, is placed between one of these lenses. 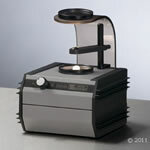 Transparent materials such as glass, plastics, and synthetic resins can be analyzed using the polariscope - the material is placed between the lenses and viewed through the lens opposite to the projected light source. 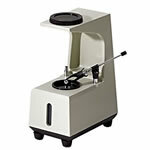 By detecting internal stresses within the material of interest, the polariscope is able to prevent any possible failure, shattering, or deformation of the material from occurring. Once submitted, we will try and place you in contact with a suitable Polariscopes supplier within 48 hours.